The STM32 Nucleo-64 development board with STM32F070RB MCU, supports Arduino and ST morpho connectivity. 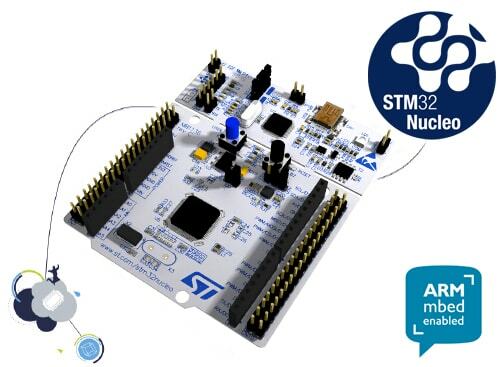 The STM32 Nucleo board provides an affordable, and flexible way for users to try out new concepts, and build prototypes with the STM32 microcontroller, choosing from the various combinations of performance, power consumption, and features. 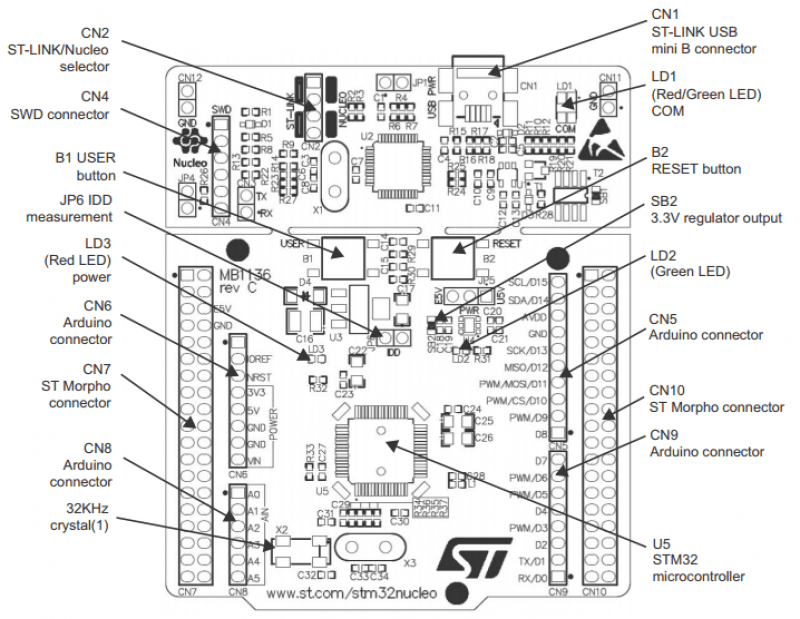 The STM32 Nucleo board integrates the ST-LINK/V2-1 debugger and programmer. More information about the board can be found at the Nucleo F070RB website . More information about STM32F070RB can be found in the STM32F070 reference manual  . Applications for the nucleo_f070rb board configuration can be built and flashed in the usual way (see Build an Application and Run an Application for more details). Nucleo F070RB board includes an ST-LINK/V2-1 embedded debug tool interface. This interface is supported by the openocd version included in the Zephyr SDK.